The Cardiff-Stuttgart Association and Deutsche Sprachgesellschaft was formed in 2007 as a union of the old Cardiff-Stuttgart Association and the old Deutsche Gesellschaft. The new association was renamed The Cardiff-Stuttgart Association in 2009. The Cardiff-Stuttgart Association has the twinning aims of promoting the Cardiff link with Stuttgart and of promoting interest of all the German-speaking countries. Membership is open to all who sympathise with these aims. Our patrons are the Lord Mayor of Cardiff and the Oberbürgermeister of Stuttgart. 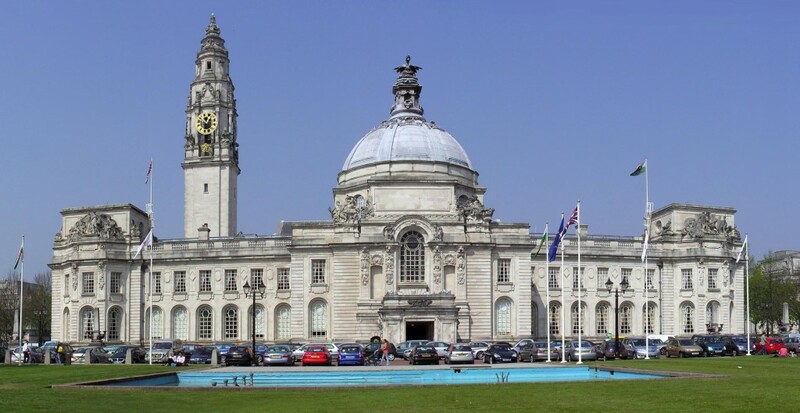 We meet once a month in the City Hall, Cardiff. All our meetings are held in German. Visitors are always welcome. It was the decision of the CSA committee, after seeking advice from the Information Commissioner's Office (ICO) and having carried out the self-assessment exercise on the ICO website, that the CSA need not register with under the GDPR. The CSA would nevertheless need to establish a data protection policy. For our report on the conference, please click on the link below. For our comprehensive report (written by the Honorary Consul for Germany in Wales, Mrs Helga Rother-Simmonds ) on the festivities which took place this summer in Stuttgart and Cardiff, please click on the links below. We also initiated the Cardiff-Stuttgart Prize for Schools for the best German essay. For informations on the events by the Swiss community in South Wales click here. For the Swiss Ambassador's Award Concert on 15th October 2014 at the Royal Welsh College of Music and Drama please use the Swiss link above.